Wow. Thats my initial impression. I received a few of these in a trade and they had been well rested so I fired one up the night they showed up. For those that don't know, these were a limited release made with tobacco from the Amazonia region of Brazil. My Brother will be leaving to be a lifetime missionary to that same area later this year. The Braganca tobacco is grown organically, plants are grown a full yard apart from each other and the tobacco is only harvested once every three years. These were rolled pretty tightly but softened up a little bit as they warmed up. I cut it with a straight cutter. Pre light aroma and taste were very earthy with some fruity notes. The fruity (raisin) notes and earth were prevelent in the first third with a nice pepper zing coming in towards the second. The last third became a little bit more spice but with a cocoa and nutty undertone. Total time was 1 hour 30 min with no touch ups or relights. The burn was nice and even with a lot of smoke that was pretty "chewy". 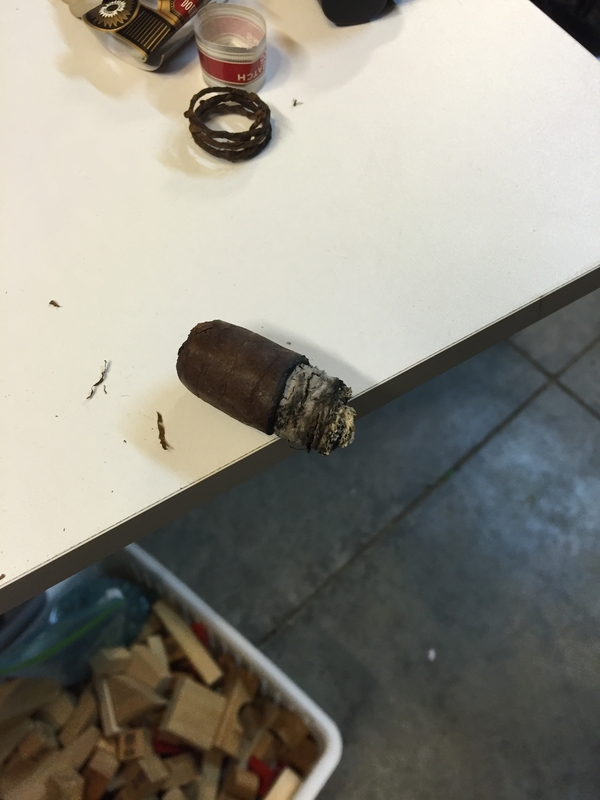 I ended up nubbing this cigar and burnt off my finger tips! 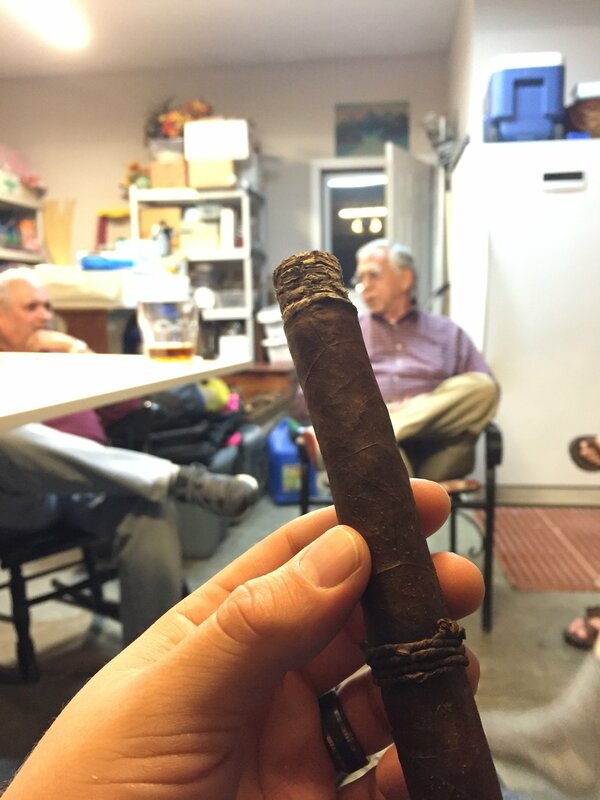 One of the best cigars I've had in awhile. I want more but with only 2K boxes released, the odds are not in my favor. I would put this at a Medium bodied smoke that gave a nice little buzz. It paired well with W. L. Weller Reserve. Thanks to @Bob_Luken for trading me these to enjoy with my Dad and brother. I had one and really loved it. Wish I'd have gotten a fiver of them when they came out. I agree. I wish I could get my hands on a few more. I, too, need to blame @Bob_Luken for hooking me on these in a trade. These are definitely in my Top 5 cigars. So much so that I ended up buying a box of 'em--one of only two brands (other than Hemingways) I've ever bought at this quantity. Dang I'm jealous! I agree that this is so far in my top 5 as well. I have looked all over for a box but no go since they were released in such a limited quantity. @raisindot , have you had the CAO Columbia? I have heard that it has some similaritites to the Amazon Basin. I am also digging the Brazilia. @MikeTodd, no I've never tired the CAO Columbia or the regular CAO Brazlilia. How does the latter compare to the Amazon Basin? I'll have to keep an eye out! I am still young into developing my palate but I feel the Brazilia had a little more spice and not quite as much sweet/fruit as the Amazon Basin. I don't think they can be compared to anything else. Given a few months rest I was blown away how wonderful they tasted. I will def buy a box. I agree! They are tremendous. I remember Bob Luken had a pass and I was lucky enough to try one. I'm already salivating just thinking about these. I'm on the hunt now!!! Thanks for posting this up. Very exciting hope they stick around for a while so I can pick some up too never did try these. Yup. I blame @Bob_Luken for getting me hooked on these as well. I got my first taste of them from @Bob_Luken too!! If anyone finds a box and wants to do a group buy, I'm in! They are being released again in May. Yeah, the regular retail last time was around $130. I have been playing around over there so far I have not seen many deals. Whenever I do a price check I could paid as much or less elsewhere. maybe you have to time it just right? 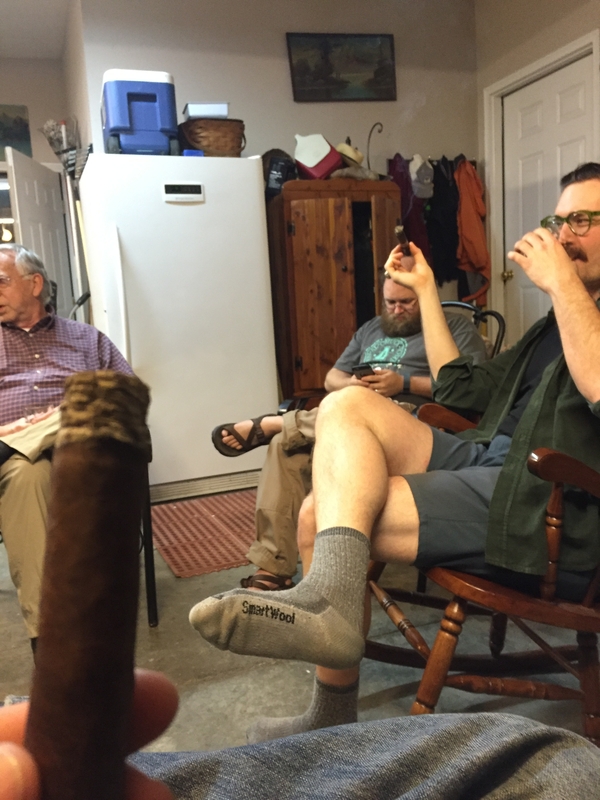 You will pay a premium for that cigar it got tons of hype. For a good reason. I will take my chances and wait until they release them again and hope to get some then. CAO has enuff tobacco for two releases but decided to push them all out in one release coming in May. Then what would I do on the front porch while enjoying my smokes? It really depends. On some brands you can get very good deals compared to online discount prices. For example, I always buy my La Aurora Preferidos there because you can often get them for as low as $25 for 5, compared to $12-$14 per stick (discount price) on most sites I see. BTW, the Amazon Basin 18 box sold for $199 and the fiver for $80. If it's true that the full release doesn't come until next May, CAO may be using these auctions to test market demand. My guess is that when released you won't be to get them from the $130/box they used to sell for. good lookin' out @Usaf06 ! I have 10 CAO Amazon Basin cigars stored for 2 years in a temperature/humidity controlled humidor. Google these gems and see what a rare and tasty treat they are. They use organically grown tobacco from the Amazon rain forest! You won't find them anywhere else. $75 for 10 or $40 for 5. @dirtdude ; that's not a bad deal, especially if it's from a b&m.